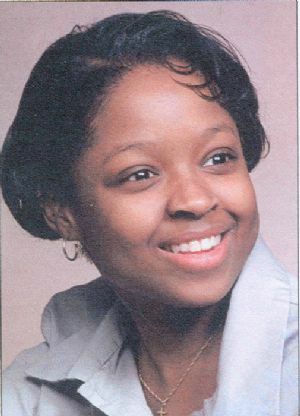 Zenzell Nienobe Younger, 28, of Cumberland, died on Thursday, Sept. 7, 2006, at WMHS Sacred Heart Campus Hospital. Born Oct. 5, 1977, in Cumberland, she was the daughter of Norma Lee Younger, Cumberland, and the late Ronald Britt. A graduate of Allegany High School with honors, Class of 1995, Miss Younger furthered her education at Howard University, Morgan State University and Allegany College of Maryland making the Dean's List. She loved traveling and meeting people. Miss Younger enjoyed tutoring her younger cousins, was an avid porcelain mask collector, enjoyed music and loved collecting sunflowers. She was a member of the Metropolitan A.M.E. Church. Zenzell went in peace. Besides her mother, she is survived by her paternal grandmother, Ruth Britt, Johnstown, Pa.; her God sent mother and father, George L. Meade Sr. and his wife Florence Meade, Cumberland; her brothers, Simeon Younger, Hagerstown, Eugene Younger, Cumberland, and George L. Meade Jr., Gaithersburg; her sisters, Lisa Parrott and her husband Saunders, Mitchellville, Cerece Claiborne and Zelda Rideout, both of Baltimore; a special guardian, Gloria "Oodles" Powell, Cumberland; her godmother, Delores Trimble, Cumberland; and her special friends, Nina Land, Towson and Noel Green, both of Germantown, and Breanna Bowen, Cumberland; as well as a host of aunts, uncles, nieces and cousins. Friends will be received at the Adams Family Funeral Home, P.A., 404 Decatur St., Cumberland, on Sunday, Sept. 10, 2006, from 2 to 4 and 6 to 8 p.m. A funeral service will be conducted at the funeral home on Monday, Sept.11, 2006, at 11 a.m. with Pastor Alfred Deas and Pastor Darin Mency officiating. The family requests that memorials be made to George and Florence Meade, 544 N. Mechanic St., Cumberland, MD 21502.